If you have been arrested for drunk driving (DWI/DUI) in San Antonio, you realize the serious implications the charges hold for you both personally and professionally. To avoid a possible suspension of your driver's license or jail time, you want to secure representation from a skilled attorney. At Hoelscher Gebbia Cepeda, PLLC, we will step in on your behalf and explore all available options for pursuing a dismissal or a reduction of the charges against you. Joe Hoelscher joins a panel of DWI lawyers to challenge Bexar County's DWI blood draw program. Forensic alcohol testing is expensive but often slipshod, causing the innocent and guilty alike to be treated unfairly. 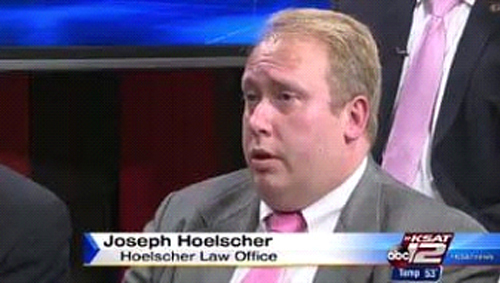 Joe Hoelscher continues to attack DWI blood draw cases both in the courtroom and in the court of public opinion. 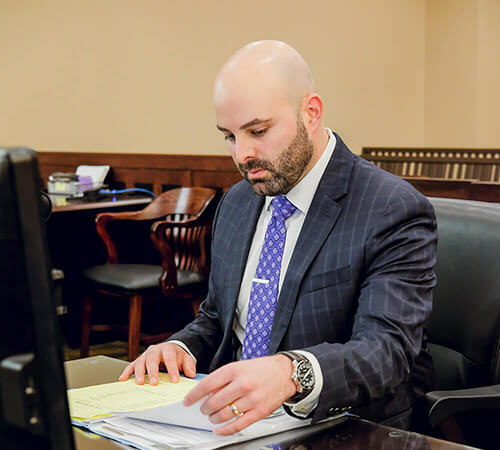 Joe Hoelscher, the creator of our DWI and intoxication offense program, is not only the best DWI lawyer at our firm, he literally wrote the book on DWI/DUI defense in Texas. Hoelscher's "Texas Drunk Driving Law" was published in 2017 by LexisNexis, a major legal publisher, as a Practice Guide for other DWI/DUI lawyers. Hoelscher has been recognized as one of the "Best DWI Lawyers" in San Antonio and one of the "10 Best DWI/DUI Attorneys" in Texas. Having handled numerous DWI/DUI cases for over a decade, we know what to look for when gathering evidence to fight the charges. If the results of a Breathalyzer test are inconclusive, tampered with or otherwise brought into question, we may be able to have the results thrown out as evidence. Additionally, law enforcement officials can make mistakes, such as pulling someone over without reasonable suspicion or improperly conducting Standardized Field Sobriety Tests ("SFSTs"). If the circumstances around your arrest signal an opportunity to challenge the state's evidence, we have the investigative and forensic resources to explore violations of proper procedure, poorly maintained or calibrated Breathalyzers, and potential violations of constitutional rights. Since its founding, Hoelscher Gebbia Cepeda, PLLC, has been on the cutting edge of DWI defense. We have repeatedly forced District Attorneys to reinvestigate not only our clients' cases, but those of other persons accused of Driving While Intoxicated and other intoxication cases. For example, Hoelscher Gebbia Cepeda, PLLC, was the first to discover major errors by Bexar County Breath Test Technical Supervisor Deb Stevens. In 2012, Stevens performed maintenance on a breath test device (Intoxilyzer 5000) in San Antonio, Texas that had a bad computer chip, compromising its results. Stevens failed to realize that the breath test machine was defective, leaving it in operation for more than a month. Hoelscher Gebbia Cepeda, PLLC, discovered the defective Intoxilyzer and forced the Bexar County District Attorney's Office to place Brady disclosures in the files of affected defendants by forcing them to release an email from their leadership admitting that prosecutors had knowledge of the issue but had failed to alert criminal defense lawyers. Hundreds of cases were affected and Deb Stevens' error, now documented, forms a regular part of DWI defense lawyers' cross examination of this frequent expert witness in DWI/DUI cases in Bexar County. In late 2014, Hoelscher Gebbia Cepeda, PLLC, forced Elizabeth Feller of Integrated Forensics Laboratory ("IFL"), the Bexar County DWI blood testing lab, to testify about irregularities in IFL's blood testing procedures. During that suppression hearing, Feller repeatedly perjured herself (lied under oath) in order to avoid responsibility for lab errors. Hoelscher Gebbia Cepeda, PLLC, obtained proof of her perjury. As a result, then-newly elected District Attorney Nico LaHood publicly announced that his office would no longer use IFL's blood test results to prosecute DWI cases. Thousands of cases have been affected. If you or a loved one has been arrested for a DUI/DWI, one of the first calls you should make is to an experienced criminal defense attorney handling DUI/DWI defense. Although it's a stressful time, having a skilled lawyer by your side can ease your worry and help mitigate the potential consequences. Drunk driving cases are not as simple as prosecutors would have you believe. From the traffic stop to determining whether forensic evidence should be allowed in court, there are specific procedures that police and prosecutors must follow to secure a conviction. At Hoelscher Gebbia Cepeda PLLC, we know how to investigate DWI cases, and our San Antonio law firm has earned a reputation for holding police officers and district attorneys accountable. To arrange a confidential consultation regarding your case, contact us today. We develop aggressive DWI/DUI defense strategies for clients throughout Bexar County and all of Texas. Am I required to submit to a chemical test ? Texas has an implied consent statute. That means, in the eyes of the law, you have consented to a chemical test — either a breath test or a blood test — if you are arrested on suspicion of DWI. However, you still have a statutory option to refuse alcohol testing. If you refuse, though, you face the possibility of having your driver's license suspended. Additionally, law enforcement officers in Bexar County have a "no refusal" policy for DWI arrests. If you refuse a breath test in Bexar County, among others, the arresting officer will try to get a search warrant to obtain a blood sample for forensic testing. You are fully within your rights to insist on a warrant before allowing your blood to be taken from you. Our overview of ALR hearings has more on how to protect your license after refusing a breath or blood test. Is forensic alcohol testing always reliable? Uncovering these errors can be difficult if you don't know where to look, and it is crucial to put an experienced DWI defense attorney on your side to determine if errors in forensic alcohol testing should result in the reduction or dismissal of charges. What are my options if I'm a first-time offender? This is your first DWI arrest. Your blood alcohol concentration (BAC) was shown to be less than 0.15. You did not cause an accident or injuries. You behaved politely toward police. You agree to the "Taking Responsibility" plea within 90 days. People who take this plea can receive a pretrial diversion or deferred adjudication — a type of probation — and have their DWI dismissed. Our overview of the program provides more information. Alternatively, you have the option of taking your case to trial, regardless of whether this is your first DWI arrest or your second or third. In any case, contact our law office to explore your full range of options. Should I refuse SFSTs or other DWI tests? I passed the field sobriety tests, why was I arrested? Generally, yes, you should refuse to take any tests an officer may offer you once they have stopped you for DWI. These tests, including the SFSTs, will serve primary to allow the officer to obtain or create evidence against you. We routinely see arrests that result in passengers driving the car home, despite the fact that the passenger drank more than the driver because the driver “failed” the SFSTs but the passenger “passed”. What does this mean? It means the cop will see you as drunk when he wants and sober when he wants, regardless of the field sobriety tests. So, there is no point in giving the cop more ammunition against you. How much can I drink before I’m DWI? The amount a person can consume before becoming impaired or exceeding the 0.08 BAC standard varies by person. The general rule is one regular drink per hour, spaced out, should keep you near 0.00 BAC. Two or more drinks in an hour will tend to cause your BAC to rise. However, any alcohol in your system may be used as proof you were drinking and any alcohol scent on your breath or clothes might turn a traffic stop into a DWI investigation. Your best bet is to avoid drinking and driving. How can I avoid DWI and still have a social life when public transportation is so awful? What options are there besides driving? It is tough to go have a few with your friends in Texas without risking a DWI. There are some options, however. Look for local public transportation to expand their services during major events like concerts. For example, in San Antonio, VIA bus service will run later routes and special Park & Ride routes for events. Check www.viainfo.net for holiday and event schedules. We are huge fans of ride sharing services like Uber and Lyft. If you are a first time Uber or Lyft user, then use our codes for free ride credit (Uber = josephh1546ue, Lyft = JOSEPH16634). You’ll need to download one of the apps and set them up, but it only takes a few minutes. I have a drinking problem. I want help. Can you help me and will it help in court? Will treatment help my DWI case? Hoelscher Gebbia Cepeda PLLC can certainly help you get help to treat addiction and other problems. We have established relations with clinical experts in psychology, addiction, PTSD, and other issues faced by our clients. We work regularly in specialty courts that are focused treating and rehabilitating clients who are willing to try. Participation in these programs, such as DWI Court, Veterans Treatment Court, and Drug Court, can lower your sentence. So, we can help you change your life while fighting for a second chance to enjoy the new you. Will I go to jail after being arrested for DWI? Maybe, but generally not for a first or even second DWI or other intoxication offense. However, if someone, including yourself, was seriously injured, then prison is a real possibility in most Texas jurisdictions. Unless someone was seriously injured or killed, your biggest concern should be for your criminal history. A DWI conviction will affect your insurance, cost thousands of dollars in DPS surcharges, may result in a difficult period of probation, may cause you to lose to your drivers license, and can impact your credit. These things can be a bigger problem than the unpleasant food and surly staff in the county jail. DPS says I have to pay thousands of dollars to get my license back. I can’t afford these DPS surcharges. What do I do? DPS surcharges are terrible. They keep good people from getting a license. Then, when those folks drive without a license, for work or school, then DPS adds more surcharges, making it even harder to pay off DPS and get a Texas Drivers License. Fortunately, DPS has programs to reduce or forgive surcharges. An experienced DWI lawyer can help avoid imposition of surcharges in the first place by asking a judge to waive them or by avoiding a DWI conviction so you won’t owe surcharges. How can I get a DWI off my record? The best way to keep a DWI off your record is to beat the case and then expunge the record. Expunctions destroy the records and allow you to deny having been arrested. A close second is a contract called a “pretrial diversion” or “PTD.” Not all counties offer PTDs and the ones that do are strict about who is eligible. However, if you complete a PTD successfully, then the State should dismiss your case and allow you to expunge your criminal history for that offense. In some Texas counties, the prosecutor may change the charge to from DWI to something else, usually Obstruction of a Highway or Reckless Driving, and allow you to do “deferred adjudication” probation, which can help you seal your record (the records exist but the public cannot see them). This option also avoids DPS surcharges for DWI. After Sept. 1, 2017, you can seal your record, even if you have a DWI conviction and went to jail. Not everyone is eligible, but a good DWI lawyer can walk you through the provisions of H.B. 3016 and Texas Government Code Sec. 411.0731, which allow DWI convictions to be sealed. Schedule a confidential consultation today by calling 210-222-9132, or send us an email. The sooner you contact us, the sooner we can start protecting your rights.